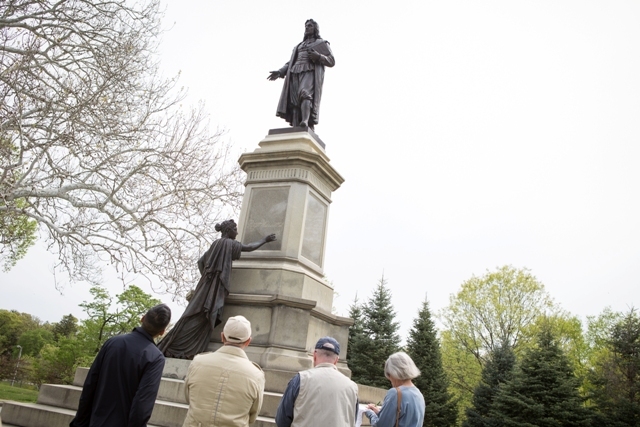 Learn about early Roger Williams Park history and explore some of its landscape and venues – including spaces that are not usually accessible to the public, such as Betsey Williams Cottage – and engage in a lively discussion about the puzzle of urban parks today. Many parks, like Roger Williams Park, were created over a century ago. How do we care for these spaces today? How do we preserve the best of the past while meeting the needs of the future? Chris has lived in Providence for over 15 years. He and his family currently reside on the edge of Roger Williams Park and he is a member of the Board of Directors of the Roger Williams Park Conservancy. Whenever possible, Chris is exploring the Park with his two daughters on the lookout for dogs and ducks.